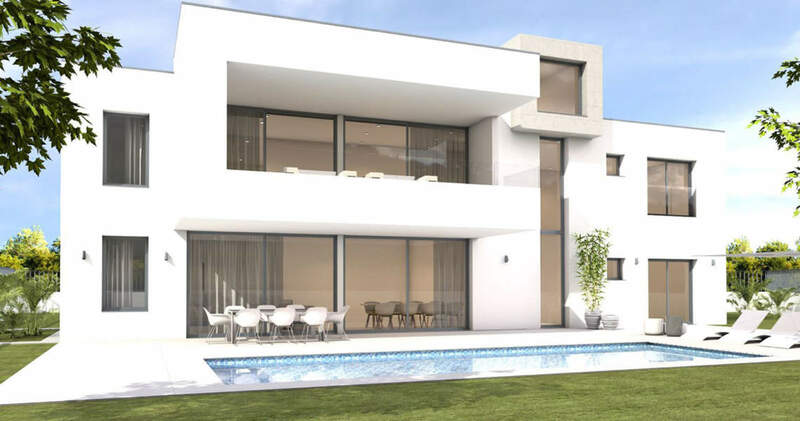 This modern villa is presently under construction in the sought after residential area of Puig de Ros, which is just a 15-minute drive to Palma and the airport and within easy reach of the Maioris golf course. The Mhares sea club with its chill out area, pool and fine dining is just five minutes away by car and several supermarkets, and a choice os restaurants are in the immediate vicinity. The two storey contemporary property will be built to the highest building specifications and boasts an open plan design, and floor to ceiling windows that create a feeling of space and guarantee light flooded rooms. 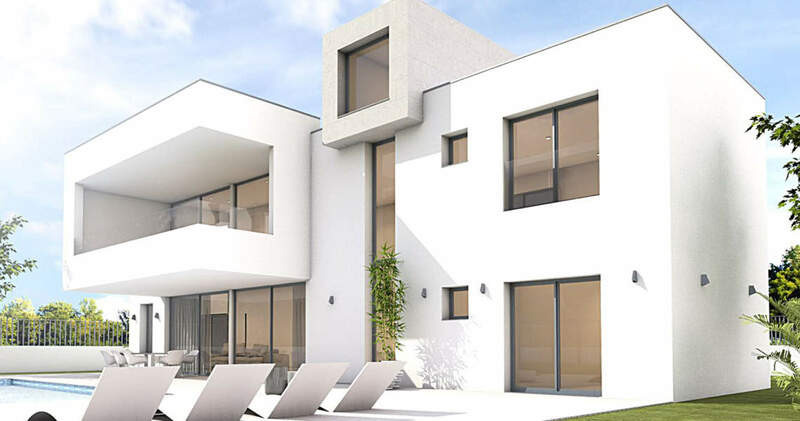 The house has been designed with comfort in mind and on the ground floor comprises an entrance hall and a large living/dining room that leads onto a fully equipped kitchen with cooking island, both of which have access to a covered terrace. A bedroom and a bathroom area also situated on this level. 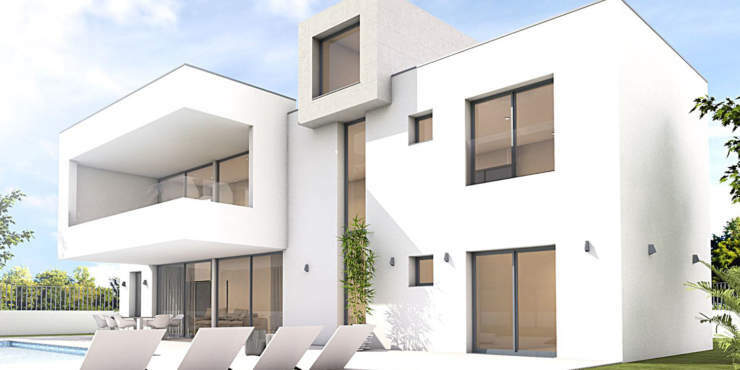 Upstairs is the master en suite bedroom with walk in wardrobe and its own terrace plus a further two bedrooms, a bathroom and a utility room. 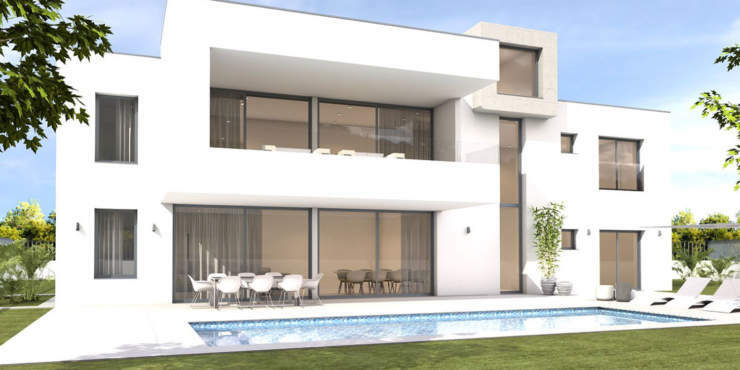 Outside a landscaped Mediterranean garden and sun terraces will surround the swimming pool. 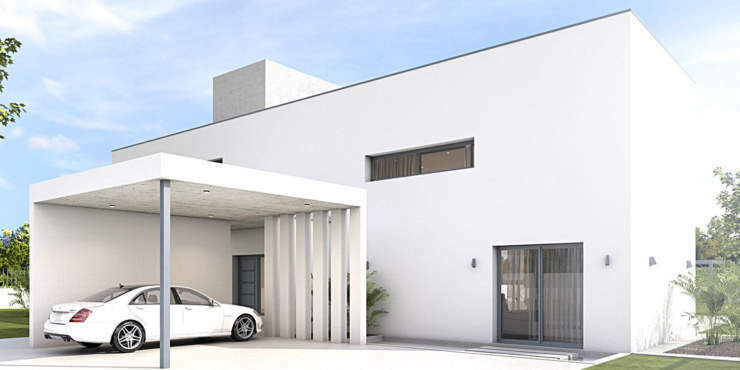 A carport completes the offer.